Started at the library at Cortaro and Silverbell. 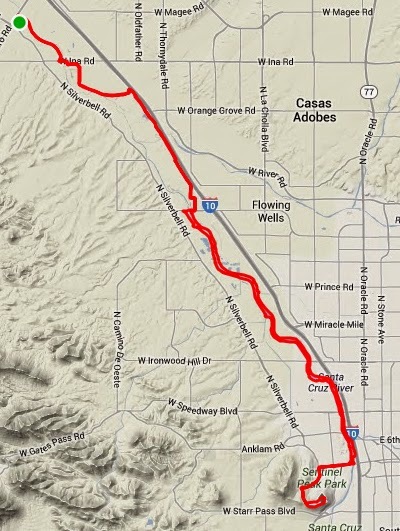 Ride the bike path along the Santa Cruz River untilBroadway, then got off and rode up "A" Mountain. Unlike last time (about a year and a half ago) this time I didn't have to walk the last part. 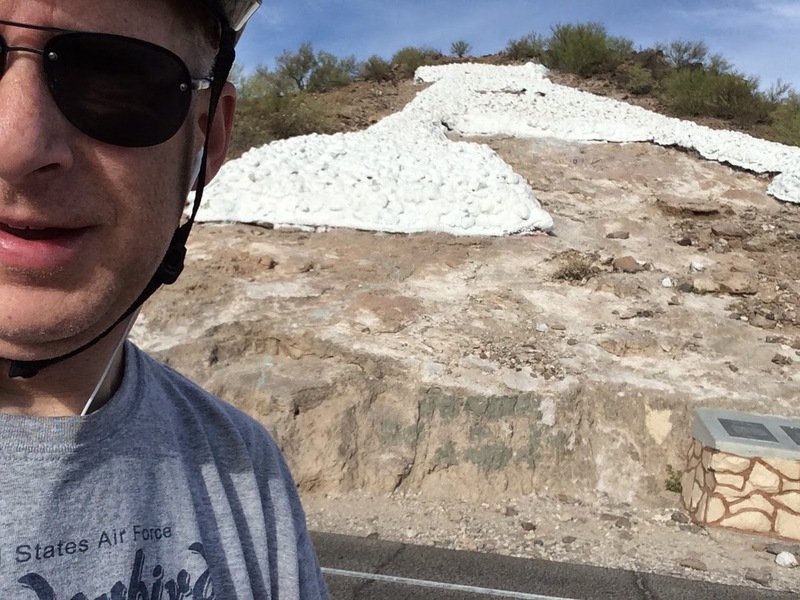 Stopped for a few pictures (including an "A" Mountain Selfie), and then rode back. Earned my nap today, that's for sure!